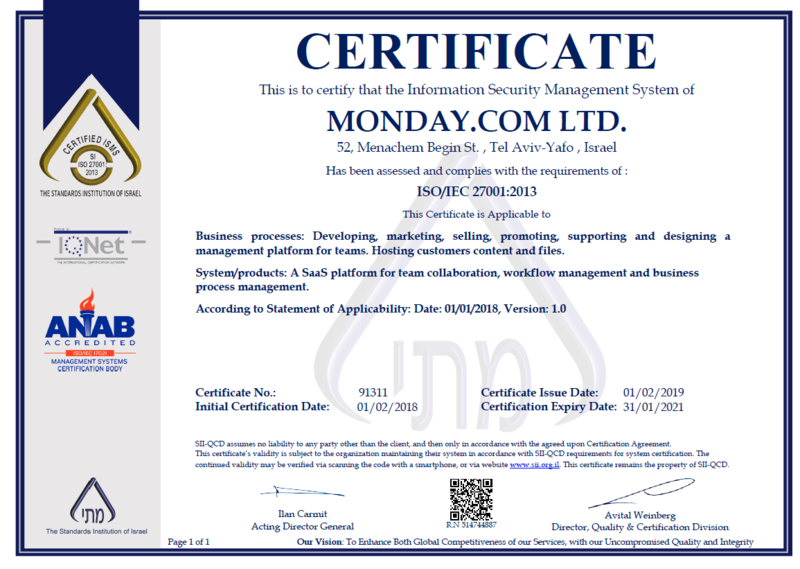 monday.com is pleased to announce that the company has achieved the International Organization for Standardization (ISO) certification for Information Security Management: ISO/IEC 27001:2013 which is the most rigorous global security standard for Information Security Management Systems (ISMS). 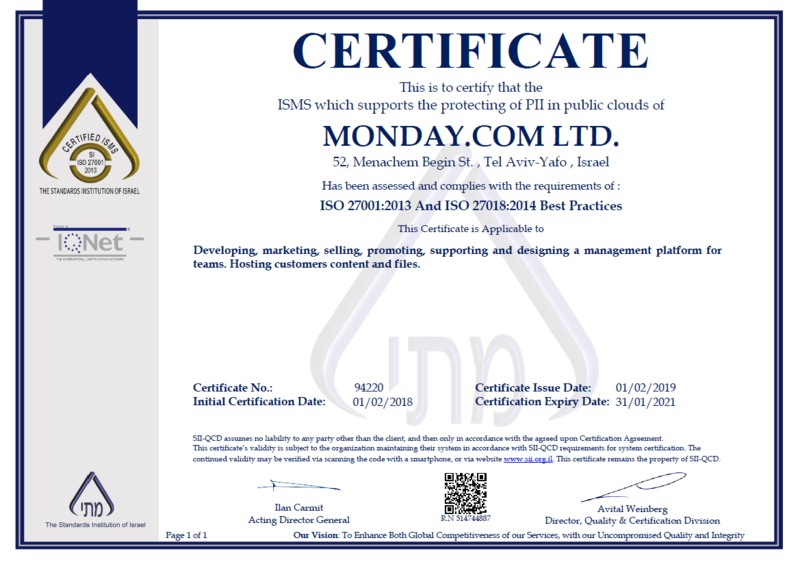 monday.com also achieved a certification for ISO/IEC 27018:2014, an international standard recently published by the International Organization for Standardization (ISO) that provides a code of practice for the protection of Personally Identifiable Information (PII) in cloud computing services. The ISO/IEC 27018 standard establishes commonly accepted objectives, controls and guidelines to ensure that PII data is adequately protected when processed by a cloud service provider, providing a common compliance framework for cloud service providers operating in multinational markets. Both ISO certifications provide monday customers with confidence that monday protects Personally Identifiable Information in the cloud to the highest standards. To achieve these certification, a company must show a continuous, structured commitment to managing sensitive company and customer information.